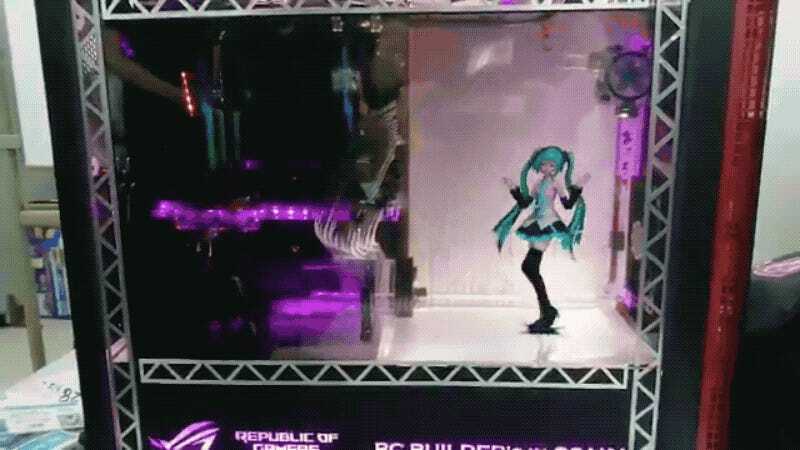 Created do-it-yourself PC get together, the case mod is outfitted with a clear LCD panel, giving the appearance that Miku is dancing. This case mod was on display earlier this summer in Tokyo. Akiba PC Hotline’s photos shed a little more light onto how the case mod works.